Jazz Community Site - Jazz Team Blog » New & improved SAFe® support is here! The Scaled Agile Framework® (SAFe) is the industry-leading methodology for organizations of all kinds looking to scale lean and agile principles across the business. SAFe 4.0, specifically, addresses the needs of large regulated IT and systems engineering organizations by adding more rigor to solution elaboration as part of an overall planning and execution process. Whether your organization is large or small, complex or simple, there are aspects of lean and agile that can — and should — be applied across your organization to help you improve time to value, deliver higher quality, and continuously improve your efficiency and effectiveness. In addition to the template changes, the overview presentation, domain models and configuration instructions are also refreshed with new and improved content. Let’s briefly explore each of these enhancements. Many customers expressed the need to track activities that are a required part of completing a Story, Feature or Capability. This might include activities such as Documentation, Performance Testing, Acceptance Testing or User Experience Design. 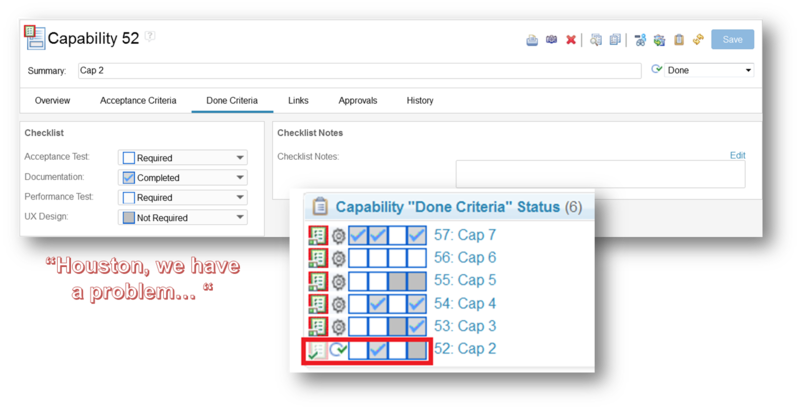 We’ve added a Done Criteria tab to each of these work items types, seeded with an initial set of criteria that is fully customizable so that you can track whether “done means done”. A query widget on a dashboard alerts you to the status — and violations — based on your orgnaization’s “definition of done”. 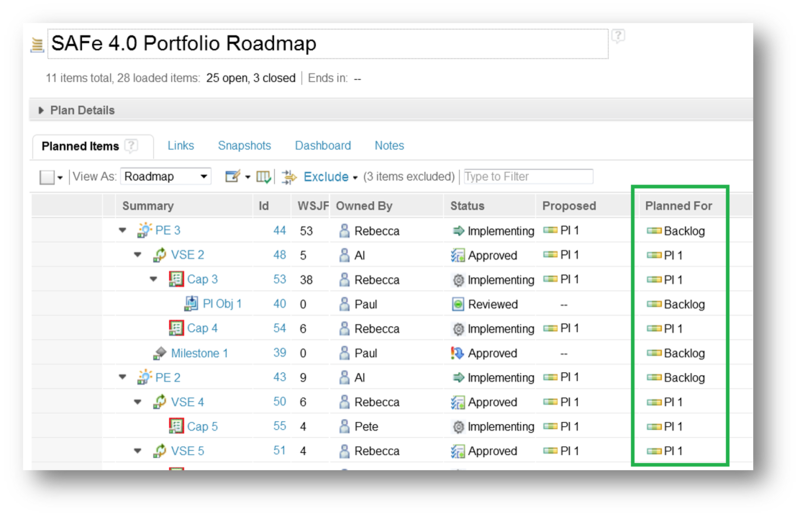 Most organizations need a consolidated view of work items that are planned for an iteration on the timeline as well as on the backlog. Previously, this was not possible in a single plan view. By merging the iterations and the Backlog under a single roadmap on the timeline, we can now provide you with that view. A major challenge for most organizations is not in the execution of committed plans but in the planning itself. How do you know how much capacity you might need? How can you begin to articulate the required effort and complexity to begin to lay out proposed plans? In the templates, we’ve added support for Story Point estimation, although you can easily use this capability to represent effort and complexity in any way you require. In our own organization, for example, we choose to represent headcount. As you plan, you can specify the estimates and refine them as you refine the Capabilities and Features into real work delivered by engineering teams. Reports enable us to aggregate these estimates and also provide insight into your ability to estimate better. We can also provide insight into how effort is distributed – across Teams, across Programs, and even across business strategies. For example, take a look at one report we’re working on to show you how your estimates stand up against your actuals. The cultural aspect of any transformation is perhaps the biggest challenge. To help you with that, we are imbedding process guidance in a number of places throughout the tooling. 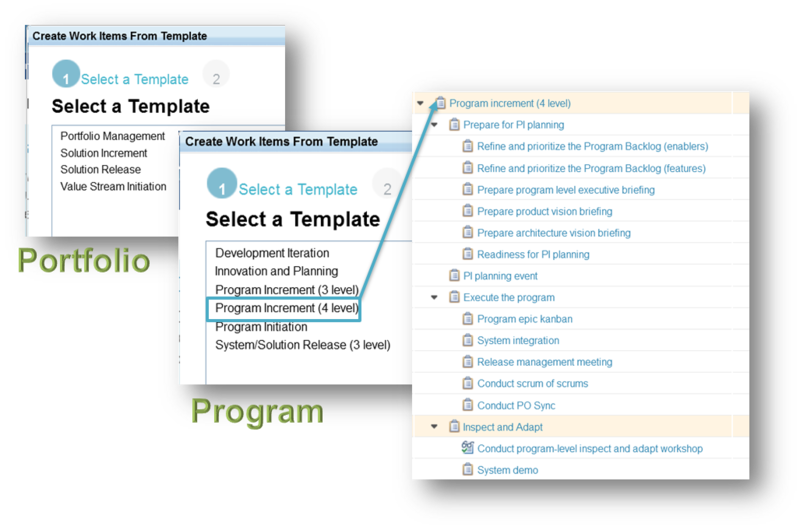 New in the latest revision of the SAFe for Rational Team Concert are the Portfolio and Program work item templates. You can use these to automatically create tasks for key SAFe activities, and each task includes a linked to the detailed description for that task so you don’t need to hunt around in documentation or online help! 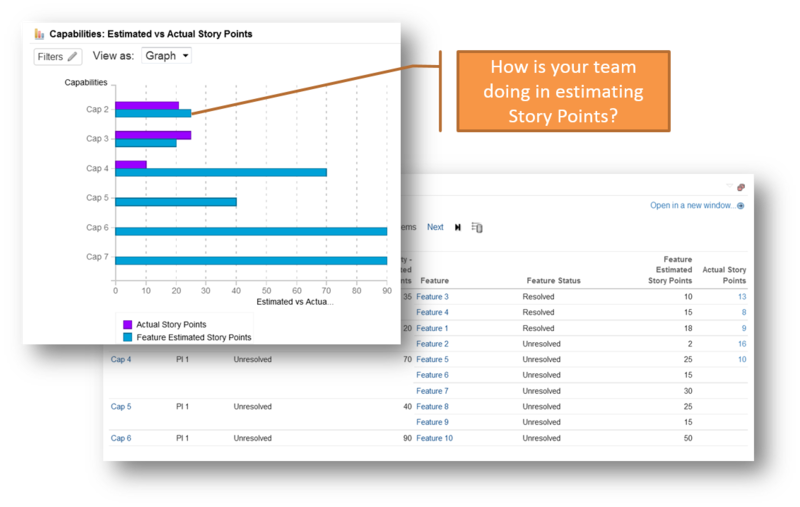 With improvements in the templates as well as enhancements in the Jazz Reporting Service capabilities, we’re really excited about the possibilities to provide even better insight to help your teams plan and execute more quickly and with high quality. Stay tuned for new and updated SAFe 4.0 reports, which are next on our list! As always, we are here to help you with your SAFe transformation, so don’t hesitate to reach out. And, of course, your feedback is welcomed and appreciated!